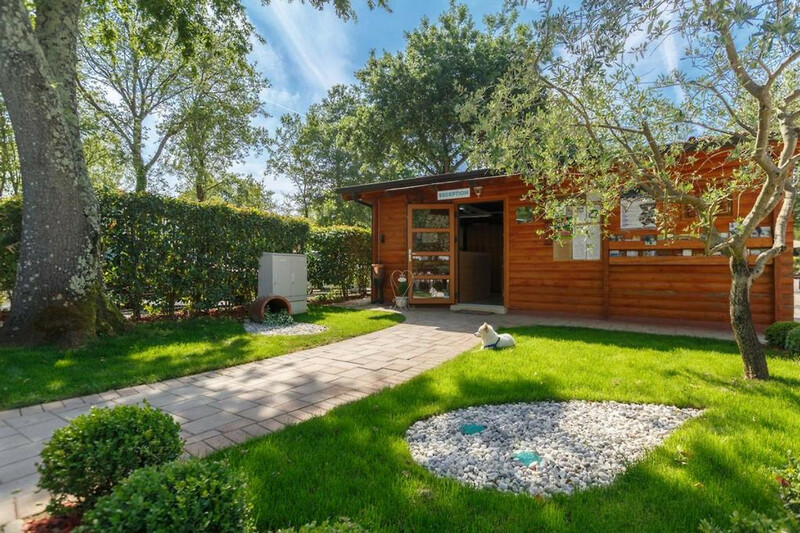 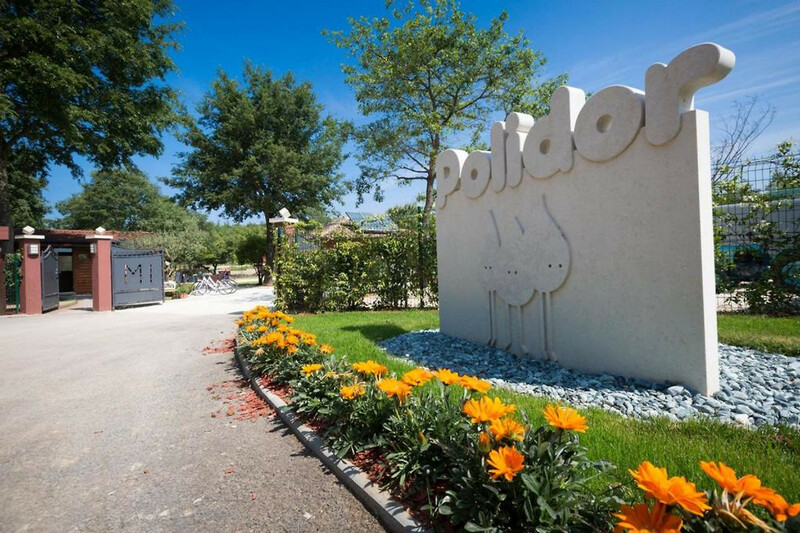 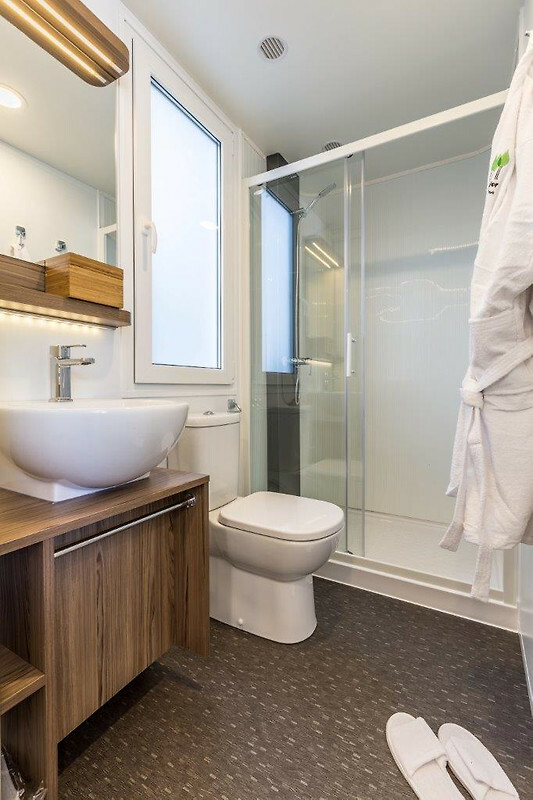 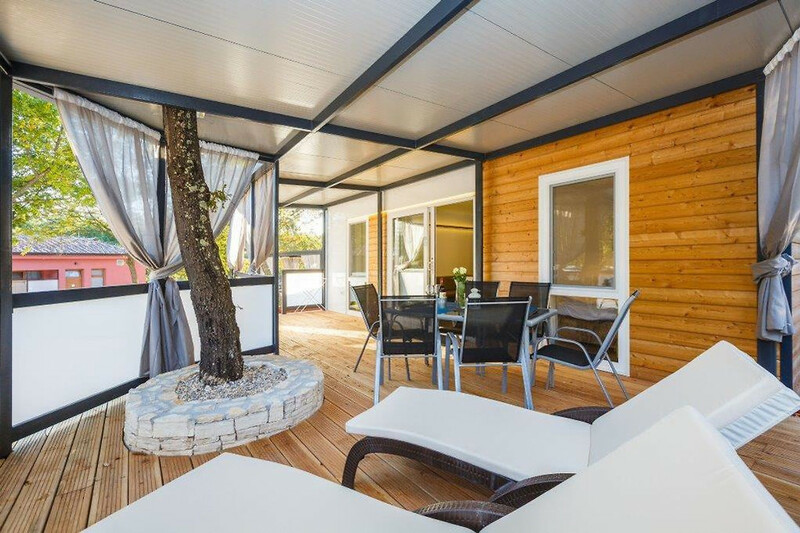 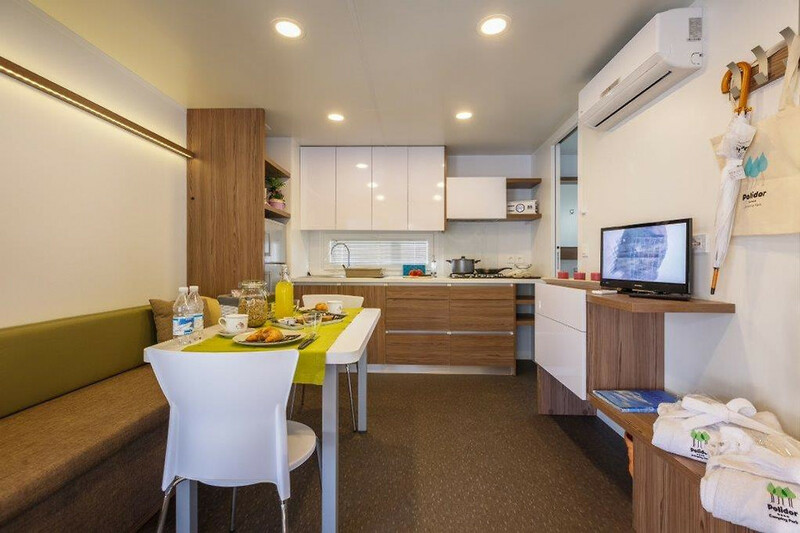 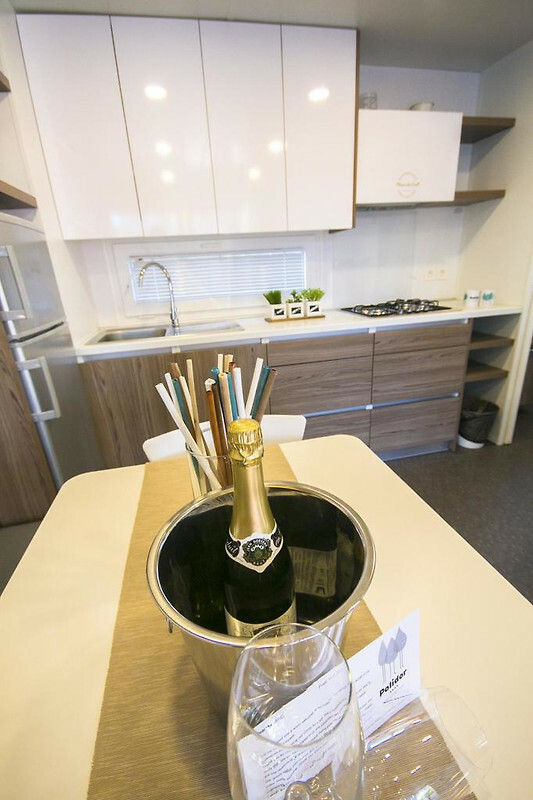 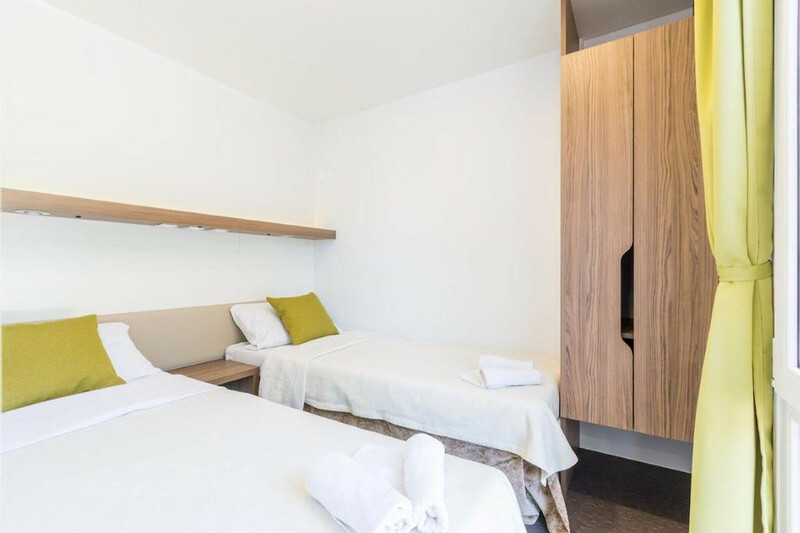 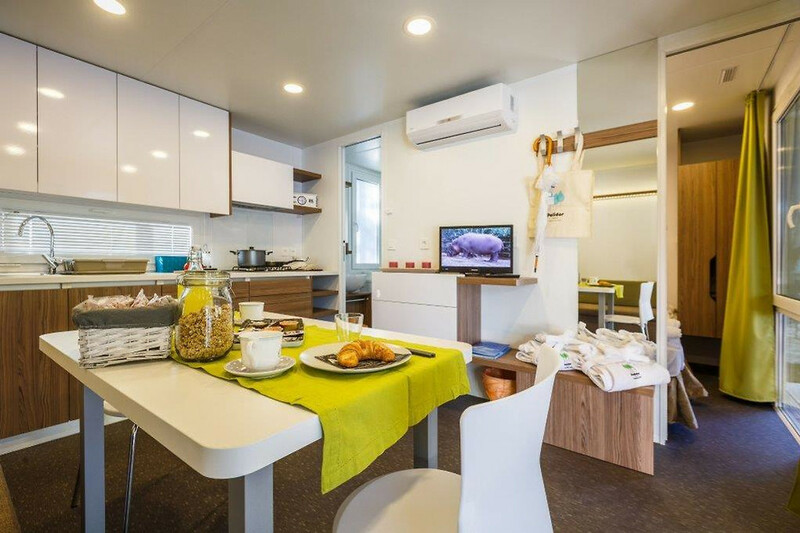 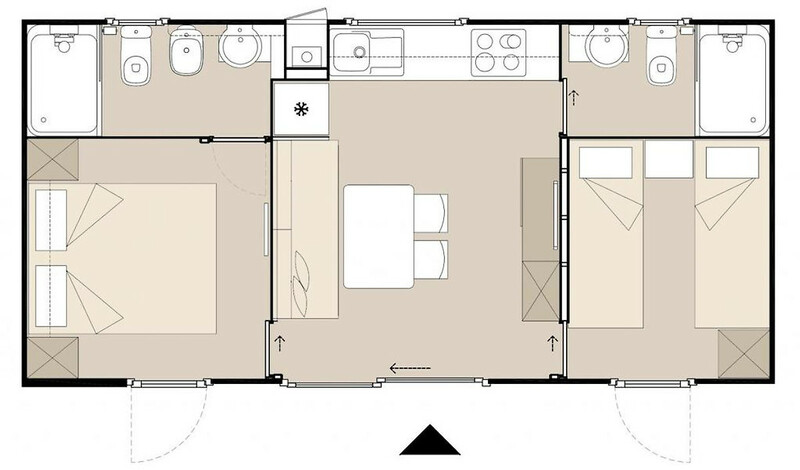 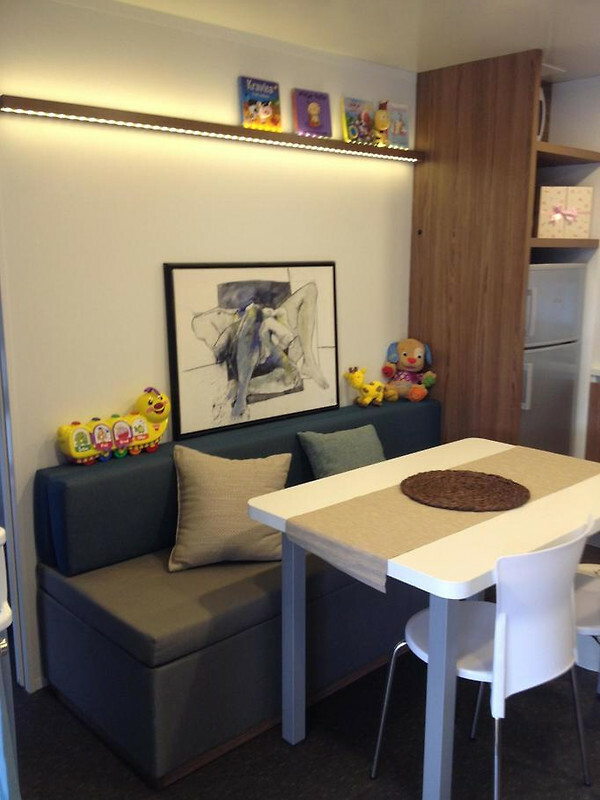 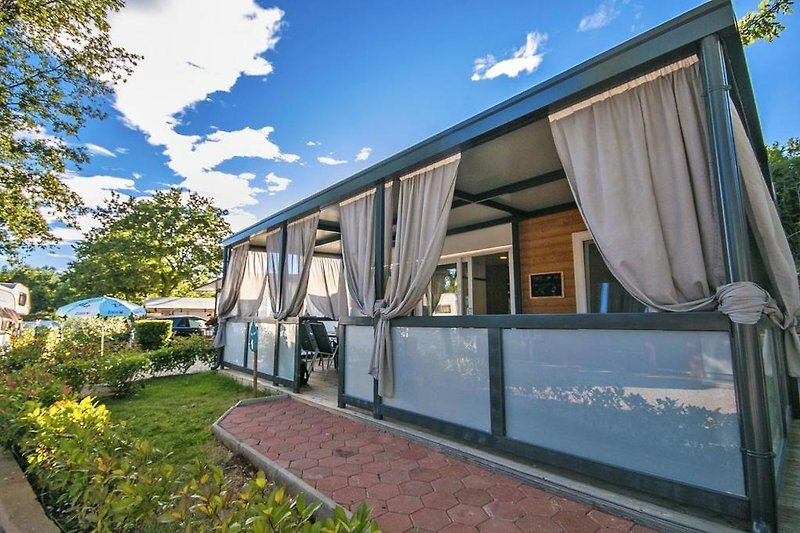 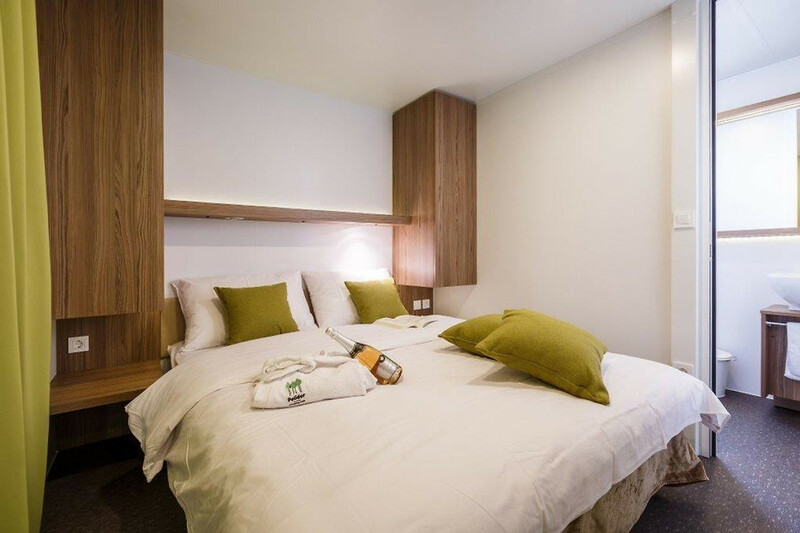 The mobile home type "Polidor Comfort" has a living space of 32 m² and this is distributed in a cozy kitchen with sofa bed for 2 persons, 2 bedrooms (1 double and 1 double with separate beds) and 2 bathrooms each with shower and toilet. 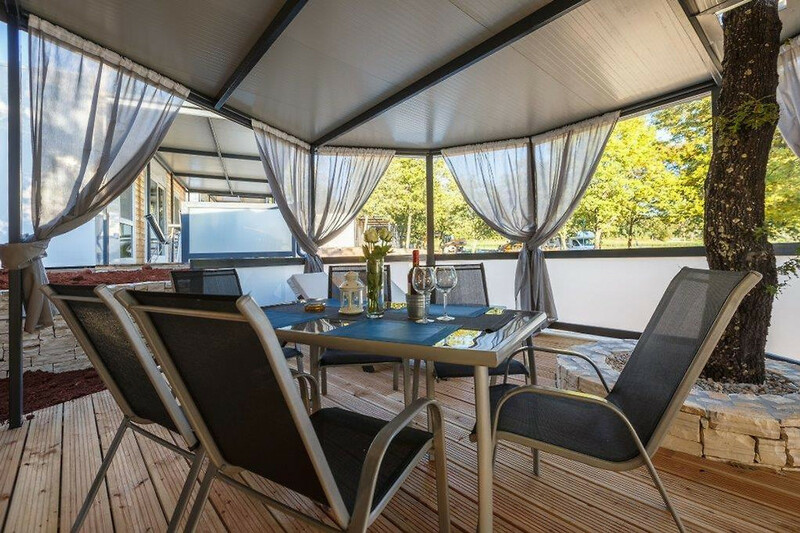 You have your own covered and equipped terrace (24 m²) with loungers. 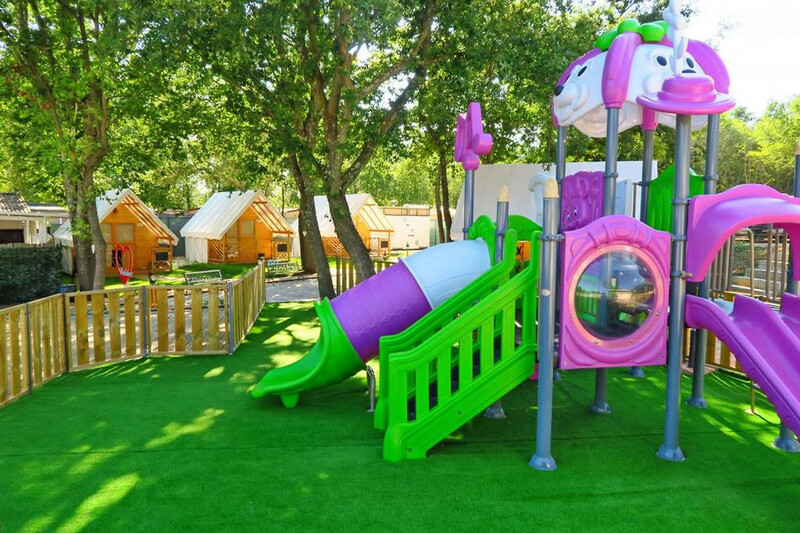 The campsite has 52 pitches, 22 mobile homes and 19 glamping tents. 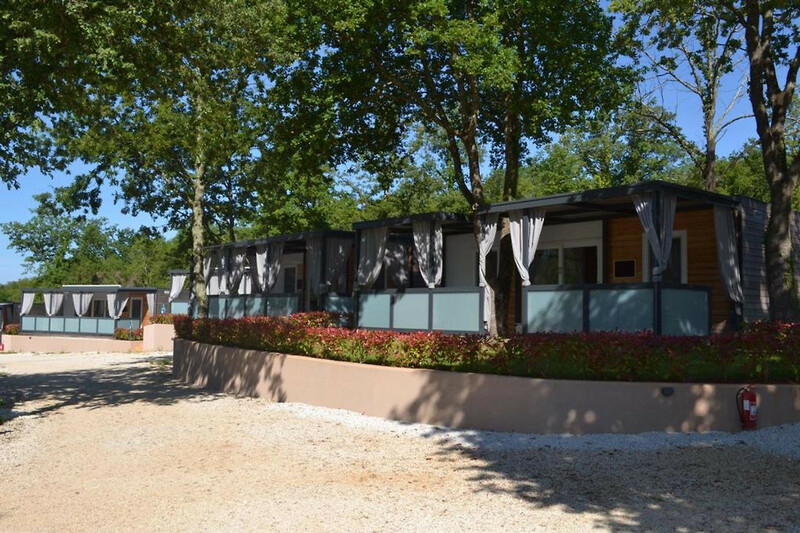 Despite manageable size of the campsite has a good infrastructure and has a 380 m² large sanitary building, a children's sanitary area and provide a local snack, a restaurant and the bread service on the square. 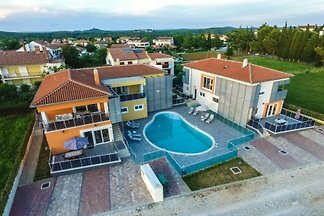 Guests have the use of two modern equipped pools (total area 169 m²). 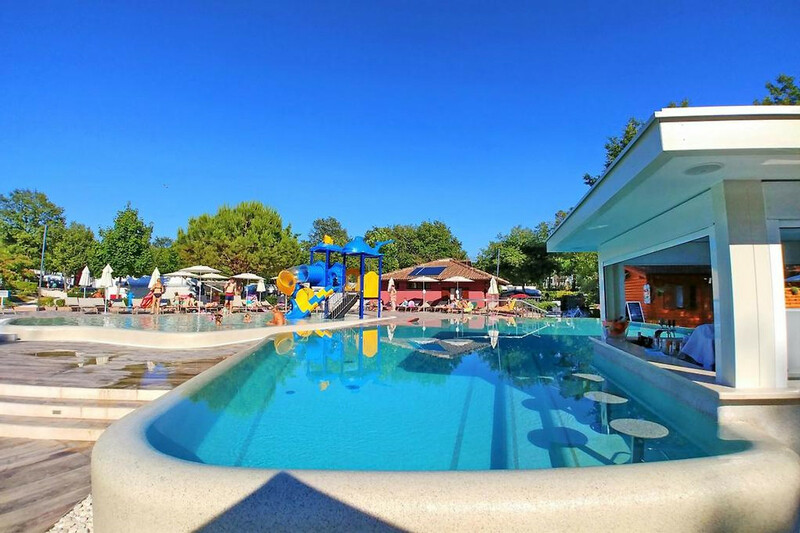 A pool is for the younger age group with an area of ​​70 m², a depth of 30 cm and a small water slide. 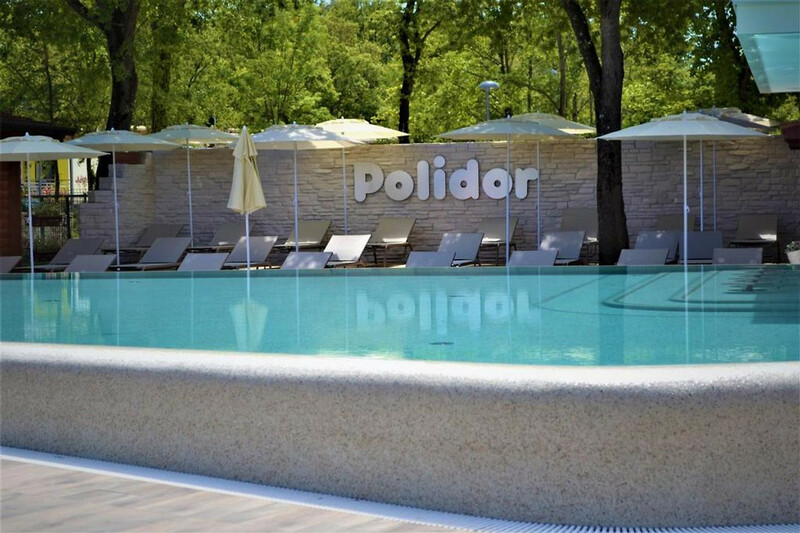 The other pool is for adults and has an area of ​​89 m² with a depth of m and pool bar. 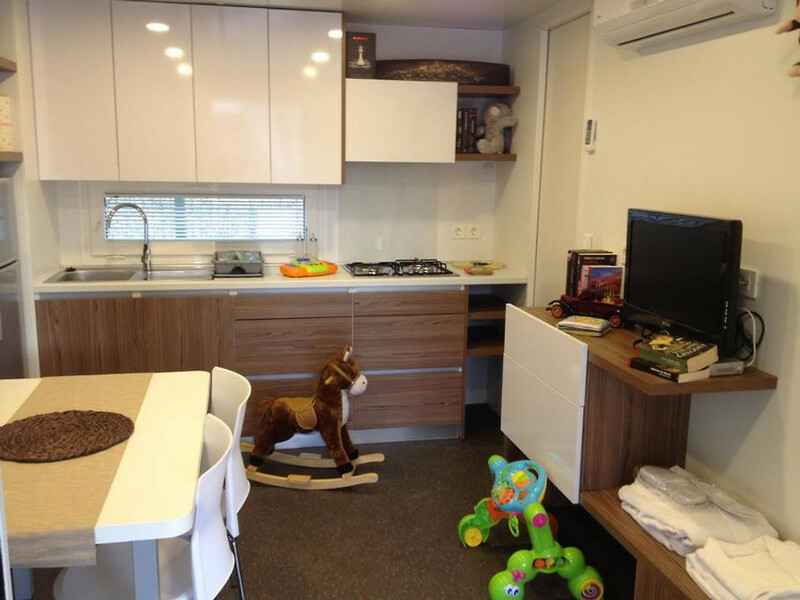 - Prices are for the apartment per day. 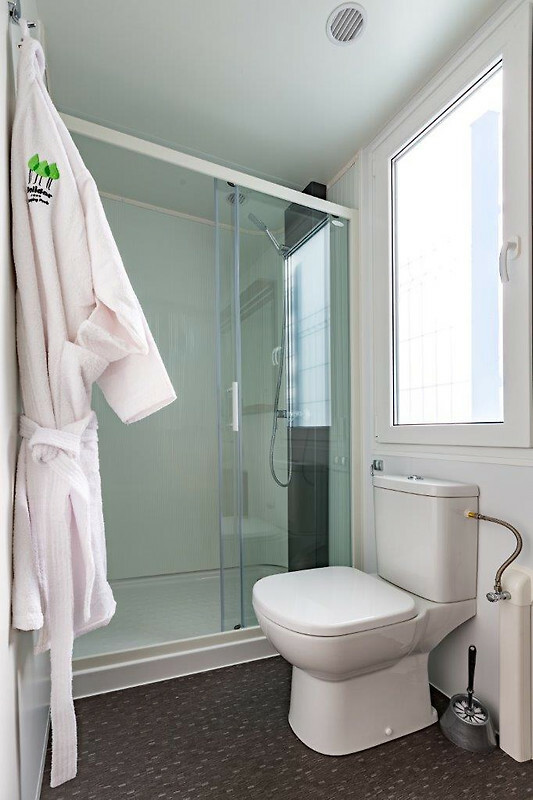 - All utilities (electricity, gas, water) are included in the price. 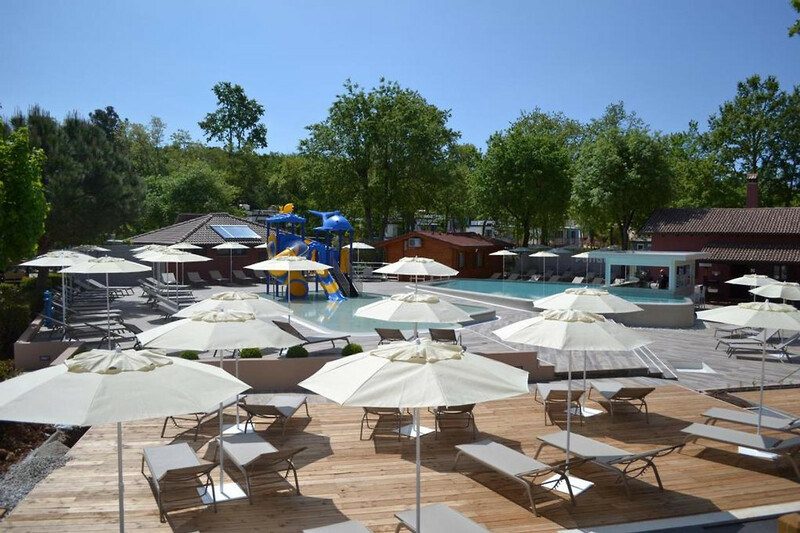 - The prices include the tourist tax, Ökotaxe and the registration fee included! 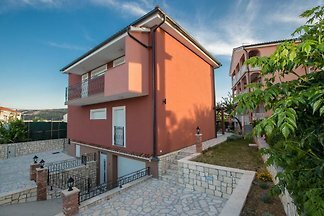 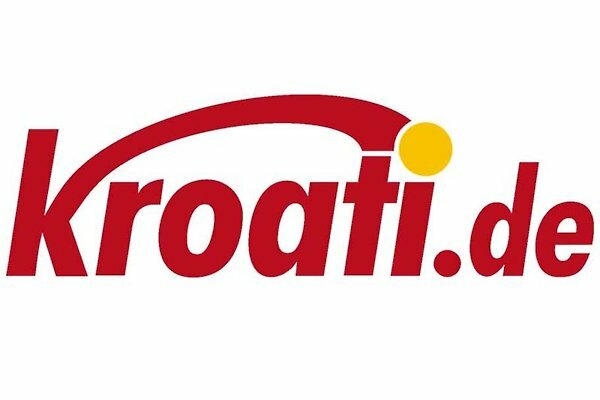 Kroati Reisen Gmbh & Co KG has been specializing in arranging holiday homes and holiday apartments in Croatia for more than 15 years.